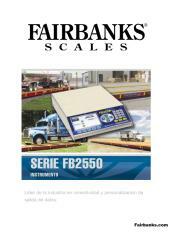 The Panel Mount FB2550 scale instrument offers the same powerful features as the desktop models, in an enclosure designed for panel mounting. 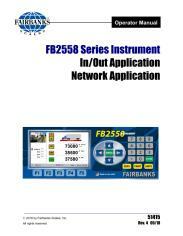 The Panel Mount FB2550 is available in either a NEMA 12 or NEMA 4X versions. 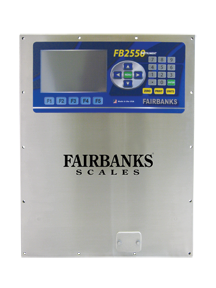 The large keypad buttons allow for easy operation even in applications where the operator is wearing gloves. 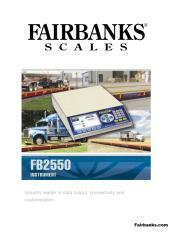 The FB2550 instrument provides a numerous capabilities and features for today’s truck weighing applications. 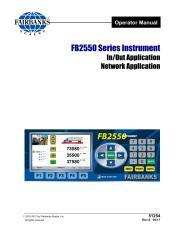 Standard features of the FB2550 include onscreen IP camera interface, full color touch screen display, ethernet connectivity and transaction reports via email. Click here for software downloads.